Emilee at Pea of Sweetness uses Rhyme to Read with their three children – their preschooler just recently introduced to reading and their 6 and 8 year old who are both homeschooled in the 2nd grade level except in reading. Both have had struggles with reading due to their special needs and do well with the books in the Rhyme to Read app. 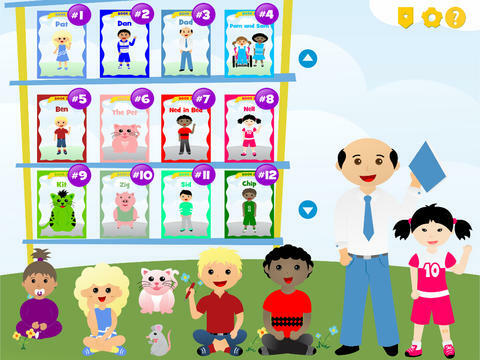 See what we thought in our Rhyme to Read reading app review on Pea of Sweetness. Three winners will receive each receive the full version of Rhyme to Read for iOS (Apple devices). This giveaway begins on 7/15 at and ends on 7/29 at 10:00pm (times are Central) and is open worldwide ages 18+. Please refer to the full terms and conditions in the Giveaway Tools. The old favorites! Mother Goose Nursery Rhymes.